Список литературы по: "Позвоночник. Суставы. Артрит. Остеохондроз"
1. A Case Study on Low Back Pain. 2. Advanced Methods for Diagnosis of Rheumatoid Arthritis. 3. After rehabilitation: 5 men's experience of living with spinal injury. 4. Articular Injury of the Wrist. 6. Bone scintigraphy in hip arthroplasty. 7. Chondrogenic Induced Adult Stem Cells for Treatment of Osteoarthritis. 8. DICLOFENAC SODIUM AND EQUINE ARTHRITIS. 9. Dynamic Reconstruction of the Spine. 10. Early Detection of Osteoporosis Among Minia University Employees. 12. Healing Back & Joint Injuries: A Proven Approach to Ending Chronic Pain & Avoiding Unnecessary Surgery. 13. Innovative Types of Braces for Adolescent Idiopathic Scoliosis. 14. Low Back Disorders in Heavy Jobs and their Control. 15. Methotrexate in Rheumatoid Arthritis. 17. Rehabilitation in Ankylosing Spondylitis. 19. Sacroiliac Joint Dysfunction and Piriformis Syndrome. 20. Spinal Deformities: The Essentials. 21. Transverse myelitis: A review and update. 22. Vibroarthrography: A New Technique For Knee Arthritis Detection. 23. Антитиреоидные антитела и ревматоидный артрит. 24. 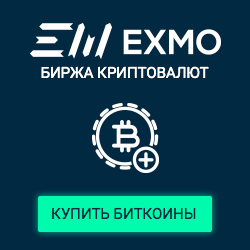 Апоптоз лимфоцитов при ревматоидном артрите. 25. Апоптоз периферических лимфоцитов при ревматоидном артрите. 27. Базисная терапия при псориатическом артрите. 44. Кардиоваскулярная патология при ревматоидном артрите. 45. Клиника болезней суставов. Сифилис суставов. В 18 лекциях.